The Isle of Man Government Department for Enterprise, commercial rights owners of the Isle of Man TT Races and Classic TT Races, has appointed the Eventist Group on a long term contract to deliver its VIP Hospitality and Official Event Experiences. Eventist Group, which was formed in 1999, will provide catering and manage VIP hospitality experiences at the TT Races and Classic TT Races from 2019 as well as all other events held in the VIP unit including comedy shows and live music events. 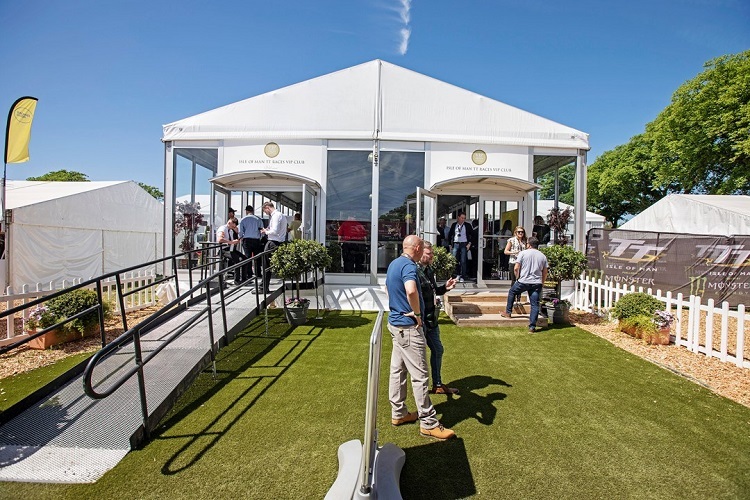 The company, which has won numerous catering and hospitality industry awards, has provided catering solutions at Silverstone’s Grand Prix Ball, Glastonbury, the Paris and Farnborough Air shows, the British Grand Prix and clients include Clarks, Sky, McLaren and Bremont watches. Eventist Group entertains over 375,000 guests each year across a wide event portfolio. The company will deliver enhanced fresh new menus, based on local seasonal produce, which will showcase the best food and drink the Isle of Man has to offer. Eventist Group will also oversee all elements of the venue delivery, customer service functions and be responsible for the provision of all personnel. The company’s experienced event management and logistics team will work with trained local staff and will shortly be running a recruitment day on the Isle of Man.